A response sometimes attributed to teenagers? Roughly translated: “Yes, I did that, but here are all the reasons why it wasn’t my fault or I’m not responsible”. “Yeah, but” comes up a lot in ICBC claims. An absentminded offending driver ploughs into the back of a stopped vehicle driven by your 63 year old mother who was patiently waiting for a red light to change to green. It’s the most common collision I deal with in our world of inattentive driving. Your mother had been an active woman: she kept a spotless house, enjoyed long walks and gardening, and would set the pace if you took her on a hike. She saw a chiropractor from time to time when her neck or back felt uncomfortable, but those intermittent symptoms never held her back. She was looking forward to a an active, healthy retirement. A headache comes on that evening. The next morning your mother’s neck and back are so seized up she has trouble getting out of bed. With pain and anti-inflammatory medication, and courses of massage therapy, chiropractic care and physiotherapy, she is able to fully recover her mobility. The pain and headaches linger, though. Many people recovery fully from the neck and back injuries caused in rear-end collisions. Your mother pursues and follows every stitch of medical advice and direction, but never gets there. She is never able to recover her pain free, active lifestyle. The offending driver doesn’t come up with the “Yeah, buts”. The claim for fair financial compensation is handed over to his or her liability insurance company, ICBC. The “Yeah, buts” come from the insurance adjuster who defends the claim. The adjuster and defence medical specialists hired for this purpose, look to find reasons why your mother was one of the unlucky ones whose injuries resulted in chronic pain. They are looking for “Yeah, buts”. The most common “Yeah, but” is the x-ray that shows wear and tear “degeneration” of the spine. Yeah, your mother was injured in the collision, but if it wasn’t for that pre-existing though asymptomatic (without symptoms) condition, your mother would have fully recovered. Another common “Yeah, but” is the comparatively minor and intermittent neck and back condition she periodically sought chiropractor care for. Yeah, but if it wasn’t for that pre-existing condition, your mother would have fully recovered. Orthopaedic surgeons who have gone to the “dark side” to earn hundreds of thousands of dollars per year pumping out medical reports for ICBC give opinions like: “The injury in the collision would have been expected to resolve within 6 weeks, therefore the ongoing pain is caused by the pre-existing condition”. Fortunately, the law is on the side of fairness. It doesn’t matter why your mother might have been particularly vulnerable to suffering chronic pain following a senseless rear-ender collision. 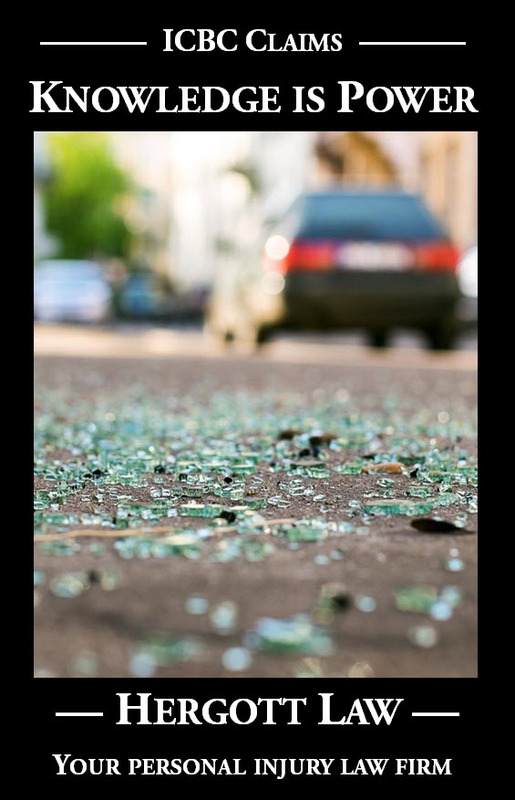 What matters is whether or not she would have continued to enjoy a pain free, active lifestyle had the collision not occurred. ICBC doesn’t get to “blame the victim” for being vulnerable. If the vulnerabilities would have otherwise remained asymptomatic (without symptoms), or at a lower level of symptoms, had the collision not occurred, the law squarely and unequivocally requires ICBC to provide full, fair compensation for those symptoms that would not have occurred absent the collision. Click the Link to See Letter to the Editor About this Column!